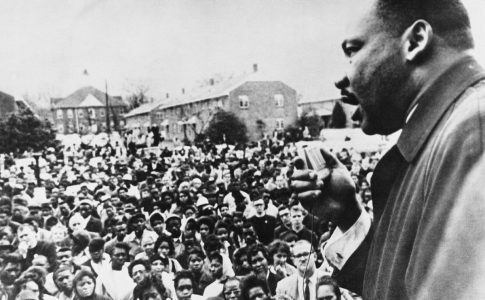 Towards the end of his life, Dr. Martin Luther King Jr. shifted from the civil rights agenda for which he is remembered to a new phase in his struggle for justice, the Poor People’s Campaign. It had five demands for the federal government: the creation of ‘socially useful career jobs,’ urban development projects, an end to punitive welfare policies, the protection of farmers’ rights to unionize, and the reallocation of public funds to educational programs. To achieve these goals, King organized a protest on National Mall. At 50,000 strong, the demonstrators erected a ‘Resurrection City’ where they camped for weeks, even though King himself was assassinated before the occupation commenced. The campaign was controversial with both King’s opponents and his allies. His opponents viewed his call for ‘a radical restructuring of wealth and power’ as proof that he was a communist. Being that this proposition followed King’s public condemnation of the Vietnam War, his Democratic political allies in the White House also found the new campaign to be too radical. Fellow members of the Southern Christian Leadership Conference (SCLC) and black nationalists, on the other hand, thought the movement’s aims were too broad and that it obscured the specific needs of black people. In today’s social, political, and economic climate much of these qualms sound all too familiar. Since the 2008 recession, the housing market crash, the rise of Black Lives Matter, Bernie Sanders’ popularity, and the election of Donald Trump, many of the same concerns are present in the political arena today. 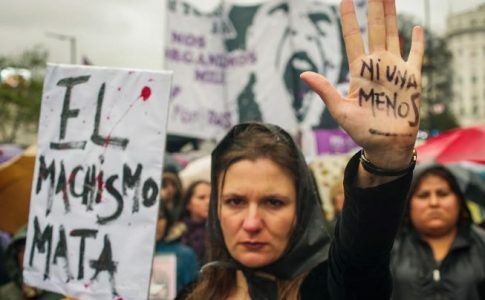 The left’s move towards identity politics, which walks away from mass movements of people of color and workers of all races for both labor and anti-racist struggle helped create the political terrain for right wing populism. 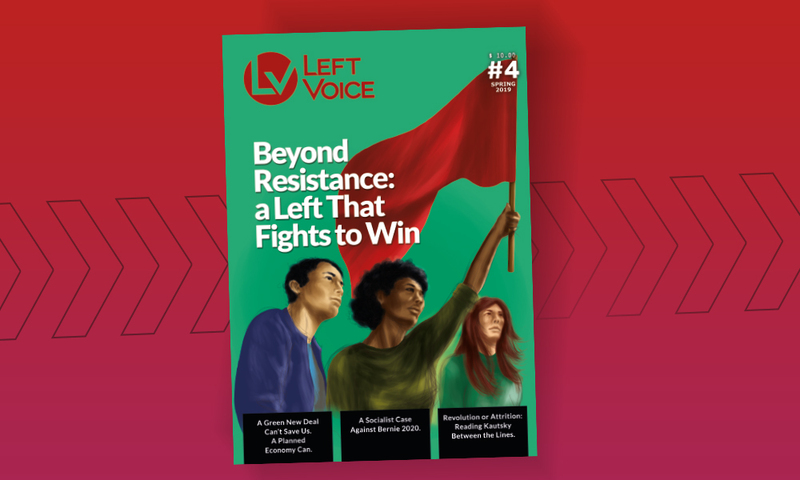 Therefore, in the wake of the election, there is a greater push than ever to incorporate Marxist struggles more overtly into the agendas of the left. 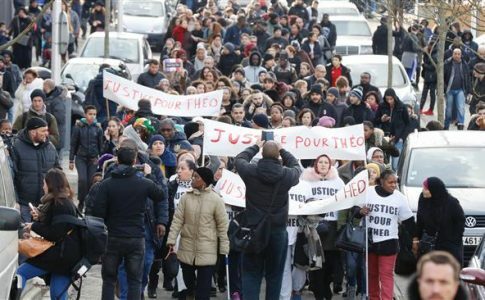 Surely, the idea of creating a multicultural movement against neoliberalism and capitalist exploitation seems quite appealing. Yet, the task is discerning how to do so without obscuring movements against white supremacy. In terms of both its ideological merit and practical failures, King’s radical and controversial Poor People’s Campaign could offer some insights on this project. 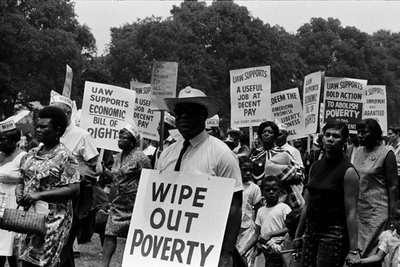 While the ideological components of the Poor People’s Campaign were compelling, the general consensus is that it was not successful in achieving what it set out to. One of the reasons cited as to why this was the case is King’s assassination, which occurred before the demonstrations on the National Mall took place. It is also commonly noted that the Civil Rights Movement was a coalition led by prominent leaders and captivating speakers. Contrarily, many contemporary movements receive the criticism of being leaderless and lacking in direction. In her recent book, Freedom is a Constant Struggle Angela Davis opposes this view. She notes, ‘When various public figures ask, “Where are your leaders?” the [current] movement said we are not a leaderless movement, we are a leader-full movement. Your movement announced that we do not now need the traditional, recognizable Black male charismatic leader. We definitely love Martin and Malcolm and deeply appreciate their historical contributions, but we need not replicate the past.’ Indeed, particularly in the age of the Internet and technology, our organizing capacities have changed in ways that can make them more resilient in the absence of figureheads, on the condition that we are strategic. Within the context of capitalist society we relate to other groups of people based on our stakes in the means of production. I am of the belief that various forms of racism and bigotry extend beyond capitalism within American society. Still, there is no doubting that many forms of social stratification manifest themselves across class lines in terms of access to gainful employment, the prevalence of poverty, the ability to accumulate wealth, and so on. What is interesting about the Poor People’s Campaign is that even though it was focused on class struggle, it had an intersectional flavor as King expressed his aim of creating a ‘multiracial army of the poor’. The key here, of course, is using class issues as a unifying basis for struggle without whitewashing it. To do so we must imbue traditional Marxist analyses with an awareness of intersectionality. This will require an approach where collective class struggle invites conversations about the ways it manifests in different extremes for different groups of people. In terms of its focus on poverty and class struggle, King’s Poor People’s Campaign is akin to the Occupy Movement of 2011. One important distinction between the two, however, is that the demonstrators of the Poor People’s Campaign were primarily poor people themselves, not simply ‘participants rallying against the influence of banks and corporations in politics.Certainly, there were poor and working class people at Occupy, but they came as individuals- members of the 99%- as opposed to as part of their union or as people on welfare. The very notion of the 99% paints over class distinctions within that 99%. As Jenée Desmond Harris goes on to note in the article ‘The Poor People’s Campaign: the little-known protest MLK was planning when he died,’‘It’s one thing for activists to demand economic justice, and it’s another thing altogether to bring economically marginalized people themselves to the nation’s capital to make their plight known. The Poor People’s Campaign did the latter.’ In the days of the Poor People’s Campaign, organizers helped bring in the poor—many literally on the backs of mules—from all over the country. 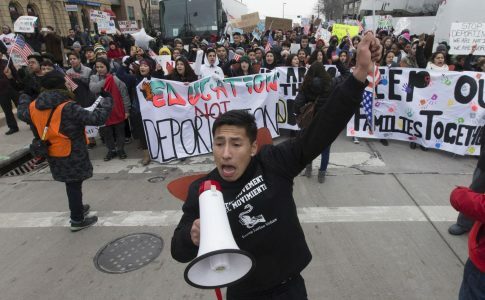 We must work to eradicate the progressive neoliberal character that has become bound to mainstream social reform and reconnect with the ‘anti-hierarchical, egalitarian, class-sensitive, anti-capitalist understandings of emancipation that had flourished in the 1960s and 1970s’ that fostered movements like the Poor People’s Campaign. Beyond the socialist implications of calling for a ‘radical redistribution of wealth and power’ in America, King’s public condemnation of the Vietnam War made him a controversial figure. 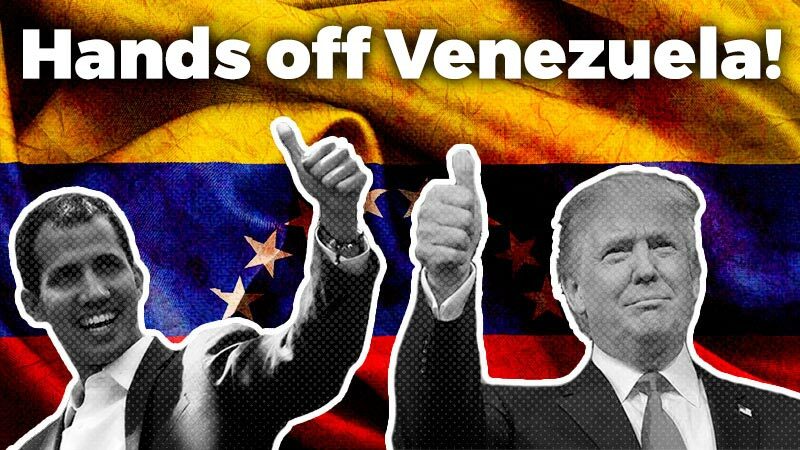 That said, calling for an end to regime change tactics and foreign interventions, the United State’s militarization of the police, and the so-called War on Terror are just as fundamental to truly dismantling an exploitative capitalist system today. King noted that the staggering sum of tax money funneled into state sanctioned war mongering and violence could be put to better use if it were invested in the citizenry via job creation, social welfare programs, housing, education, and so on. This couldn’t be more important in contemporary times as the arms industry and the security industrial complex, have grown into capitalist exploits that allow the rich to get richer. Meanwhile, poor people—particularly people of color—are used as chattel in upholding the prison industry and populating the armed forces. Largely a result of the precariousness of neoliberal economic policy and deindustrialization, we’ve seen monumental political shifts in the establishment during the last election. Unfortunately, the antidote to job loss and low wages assumed by many white working class voters was rightwing populism. In this divisive social climate, it is clear that the left has its work cut out for it in terms of unifying people in the collective creation of a society that is truly free and egalitarian. While class struggle offers an incomplete picture, it could hold an important key for mobilizing the oppressed towards cohesive social action. Lily Cichanowicz is an American writer and journalist currently based in Berlin. She has a degree in Development Sociology with a concentration in Inequality Studies from Cornell University.